Each of us, even though we endlessly love the future, wants to look into the past and to feel its scent and to hear its sounds.Every stone in the courtyard of this object, every door that opens in front of us preserves the sounds of the past and those of the future. In its bosom it protects the centuries and the stories about the long existence. It knows all of the stories and unselfishly gives them to anyone that wants to hear them. Today the National Institution “Institute and Museum” - Bitola, is located in one of the most important cultural and historical monuments of Bitola, in the building of the Old Army barracks. The importance and the significance of this object is not only the result of its monumentality, but to the historical past, events and individuals that stayed here. This place was built in 1848, when Bitola had its biggest development, was built as a Military High School - Idadie. 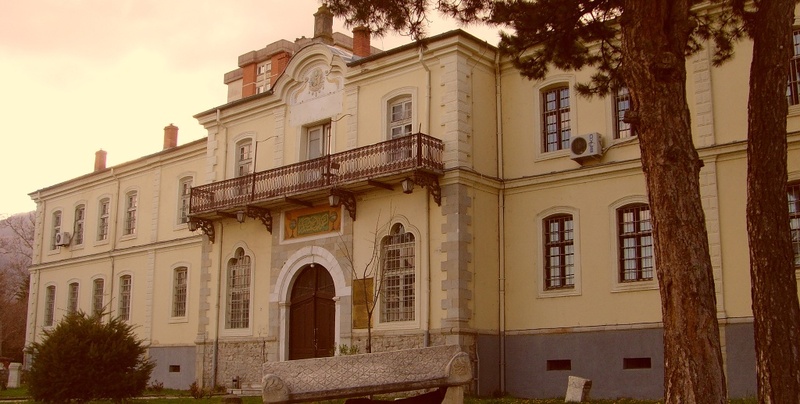 In 1900, this High School became a Military Academy - Harabie, and as such it worked until 1909.The most important period of the existence of this Military Academy is connected to the period when the cadet Mustafa Kemal Ataturk - the father of Modern Turkey, was educated there. The adaptation of this building into a Museum started in 1983. It represents a real treasure where the most valuable cultural and historical treasures from the region are kept, preserved and presented. Thousands of exponents from which only a part are exposed, keep the civilization values of different epochs, that way creating the cultural and historical map of the region.The continuous period of existence of different cultures, their symbiosis, continuing prosperity and their diversity enables the presence of such diversity that could rarely be found somewhere else, and in such a small region. The richness of exponents (archaeological, ethnological, historical and others) are only one part through which we become witnesses of our own past. 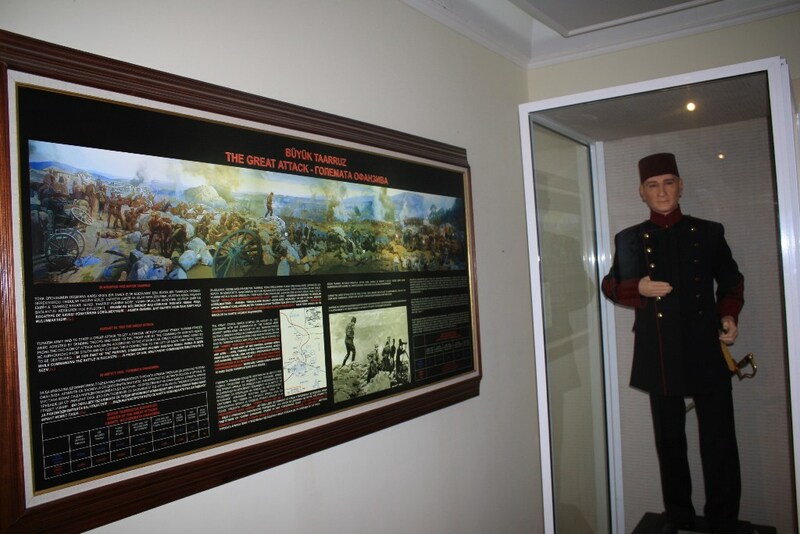 The constant archaeological exhibits where we can trace different historic periods of the region, the City Room, Memorial Room of Khemal Ataturk, as well as the numerous temporary exhibits on various themes, gives the visitors an opportunity to feel the spirit of the past and at least for a moment to steal a piece of the history, that was created by the past generations. But even this moment in the next moment will become history, so this is why it constantly becomes a part of this gathered history, of our gathered existence. On 18. 02. 1934 at the initiative of Dr. Antun Zegura, a professor at the Bitola gymnasium, and Mr. Ivan Kanjuh, a meeting was held in the formal hall of the Bitola Municipality where it was decided that Bitola, whose surroundings are so rich in monuments of culture (some which can and others which can't be moved), should found a town museum. A great number of Public office employees and distinguished citizens from Bitola took part in this meeting. The meeting was declared open by Dr. Antun Zegura, who spoke about the great cultural importance of the founding of the museum in Bitola. After Dr. Zegura's speech, the second speaker was S. Sotirovic the President of the Municipality, who applauded the idea of the gentlemen Dr. Antun Zegura and Ivan Kanjuh and promised that the Municipality would take care of providing a building in which the museum would be located. After that, the lawyer and great admirer of antiquities, Budimir Borisavlevic took the floor, showing pictures to those present of the archeological findings, which he had collected in the vicinity of Bitola. At the suggestion of the Municipality president Mr. Sotirovic, the Council decided to establish an Initiative Committee consisting of: the Archbishop Nikolaj Velimirivic, Mr. Ilija Dimitrievic brigade general, Mr. Petar Lesnarevic - the retired former director of the gymnasium, Mr. Buda Borisavlevic lawyer, Mr. Antun Zegura, Prof. Ivan Kanjuh, Mr. Branislav Vasilevic District Chief, and Mr. Dragoljub Konstantinovic District Chief. The Council sets the tasks for the Committee to collect historic, ethnographic items as well as all kinds of weapons of the various armies (which had fought in battles in the Bitola area during the Balkan Wars and the First World War), and to make the decision for the founding of the town museum in Bitola, thus filling the vacuum that had long been felt in the cultural life of the town.This thus established Committee, at its second meeting of the Municipality of Bitola, held in the Court Building, at 5p.m. on 27.02.1934, under Article 7 of the Meeting Schedule "Foundation of the town museum" passed the Decision: (citing from the minutes book) "…to found the town museum of the Municipality of Bitola, and for this purpose a credit shall be granted from the unpredicted expenditures, an amount of 10 000 dinars, in words ten thousand dinars, which shall be used for the housing and equipping of the museum, for the investigation of the museum items, procurement of materials, and other. Thus the museum shall be Municipality property and it shall be named "The Museum of the town of Bitola". Since its foundation till the end of 1948 the museum was housed in two ground-floor shops on "Dobrivoje Rado-savlevic" street, (which is now destroyed), in which premises in five appropriate cabinets were exhibited coins of Antique, Roman and Byzantine periods accompanied by certain archaeological findings of ceramic, marble, bronze etc. The museum at that time was served by two employees, one of them a manager and the other a guard. During the occupation, the manager of the museum Petar Nikolic in 1941 emigrated to Greece, thus leaving the guard Gavril Pancev as the only employee in the museum.This state of affairs in the museum continued even after the liberation, up to the end of 1948. We know this from the letter No. 53, of 15. 01. 1945 sent to the National Museum of Skopje by the Town NLC from Bitola, in which letter they request the return of the Inventory Books from 1940, so as they can see whether all the museum items are accounted for or have been expropriated.In 1949 the Town Committee was granted a new building on the street of Marshal Tito No. 25, (the building of the Ottoman Bank, later Thessaloniki Bank, Geology Bureau) to which the museum was relocated. 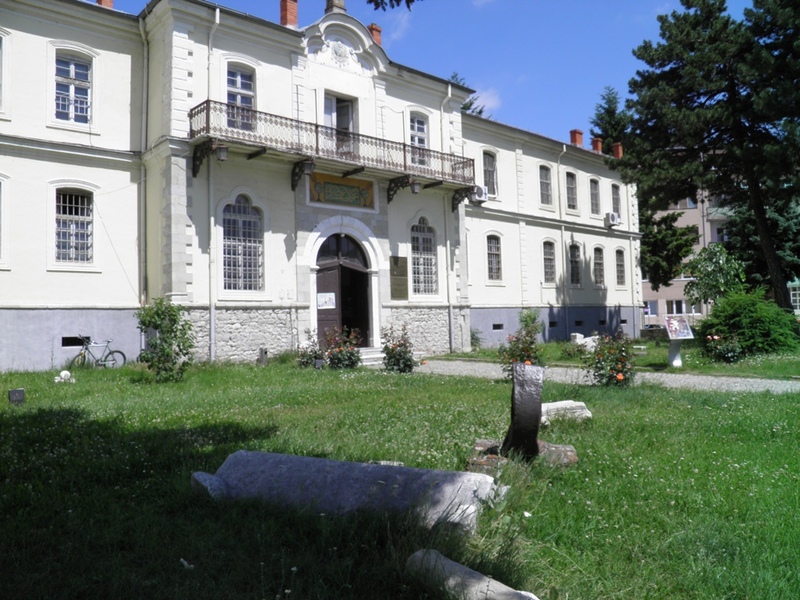 At the end of the same year Petar Mackic was appointed as the Director of the museum.In 1950 museum is granted its own budget which enables the museum to broaden its activities, so that besides the numismatic collection they found archa-eological, historic and ethnology colle-ctions, thus enriching its fund with 760 new museum items, and for the first time they make an appearance with two thematic exhibitions: "Socialistic con-struction", and an exhibition "The National Liberation War in the Bitola region" which are visited by more that 22 000 visitors. In 1951 the museum presents two exhibitions: "The mining wealth of Bitola" and "Bitola in the XIX century".In 1952 by the decision of the Presidium of National Republic of Macedonia, the Bitola museum is renamed as - The National Museum of Bitola, and is known by this name till the 1976.In the same year, the museum is relocated to 'the House of Danabas', No. 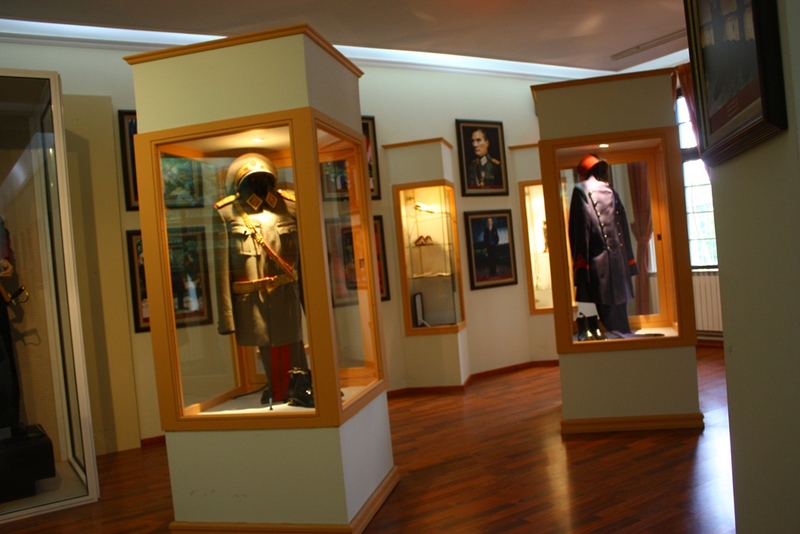 91 Marshal Tito Street, and for a longer period, is served by 5-7 employees.The 50s of the last century are important for this museum because of its activities in the field of collecting and presenting and its growth into a complex museum. Till the end of the 50s of the last century more notable activities are the archaeological investigations, especially of the pre-historic site of Suplevec, and the organizational preparations for the systematic investigation of the archaeological site of Heraclea Lyncestis.Integrations till the present appearance the institutionFor the museum, the 60s and 70s of last century marked a period of continuous development and enlargement of its departments, introducing Departments of Archaeology, History, Ethnology and History of Art, as well as establishing a photo-library with its own laboratory, and a rich and professional library, which represents a solid foundation for today'smuseum.During this period the National Museum, in cooperation with the Heraclea Board, was responsible for managing the excavation and conservation of this site.Following the decision of the Council of the National Committee for culture of Municipality - Bitola, The Heraclea Board was established on 26. 07. 1961. This Board, as a management committee, dealt with the issues and problems concerning the archaeological excavations of the site. In the following period the Board was changed every four years until 1986/7 when its functioning ceased.The first appointed President of the Board was Zivko Vasilevski, then also SRNM. Ivan Mikulcic, curator of the museum, was appointed secretary of the Board and Petar Mackic, who was manager of the museum at that time, later replaced him.The members of the first Board were:Dr. Jovan Kalauzi, doctor at the Medical Center - BitolaSotir Gerakarovski, Vice-president of NC - BitolaBlagoj Ilovski, Vice-president of NC - BitolaGoga Vidimce, engineer - Municipality of BitolaDr. Dimitar Kotevski, doctor at the Medical Center - BitolaDimitar Grdanov, Director of the National Bank - BitolaNiko Pop Nikola, Agric. Eng. at the Institute for Forestry of NRMGjorgji Dimovski, a professor at the gymnasium “Josip Broz Tito”-BitolaPetar Mackic, a manager of the National Museum-BitolaAt that time, the National Museum - Bitola concentrated its efforts and activities on the preservation of the great fund of movable and stationary monuments of culture located in the Municipality of Bitola.In this period, apart from activities connected with the numismatic and archaeology sections, they are involved with setting up a permanent museum exhibit dedicated to Stevan Stiv Naumov, a national hero, in the house of his birth, located at No.11 Peco Bozinovski Street on the 4th July 1961.The above mentioned museum collection grew larger year by year with hundreds more museum items and photographic documents. The number of visitors annually to the museum exhibits is estimated to be more than 30.000, a number which even today would be envied by many other museums. This certainly proves the fact that the National Museum Bitola plays a significant role in the cultural life of the town at that time.On 05. 05.1975 by the decision No. 06-2907/1 the Municipality of Bitola found the Institute for preservation of monuments of culture and natural rarities - Bitola. Also, by the decision of the employees of the Institute, National Museum and Heraclea Board, confirmed on referendum, National museum and the board of the archaeological site of Heraclea also is attached to the Institute for preservation of monuments of culture, confirmed on the agreement A.C. No. 06-5465/1 and 06-5459/1 from 04. 10. 1986.Thus formed institution was renamed in Institute for preservation of the monuments of culture, natural rarities and museum Bitola. By the agreement No. 08-312/1 from 10. 05. 1983, the acceptance was given for the affilation of the Art Gallery of “Mosa Pijade” to the Institute and Museum Bitola.The Art Gallery of Bitola was founded on 15. 04. 1958, following the decision of the Council of the municipality of Bitola.The building in which the gallery is accommodated (Jeni Mosque) was built in 1558/9 during the time of Mahmud Efendy, as a one-room sub-dome construction with covered porch, and blind cupolas which were built later during the correction of the building in 19th c. Due to the extensive decoration of the entire interior, the building is in itself considered to be a work of art. Especially notable are: the Fayan blocks around the main portal, the magnificent fresco decoration painted with a rare motif landscapes in Rococo style, the decorative plastic art in the form of stalactites (on the trompie-shells under the dome), the deep woodcarving of the main gate, the wooden doors of the niches, and the calligraphic inscription above the gate.The gallery was under the mana-gement of the Administrative Board, and the first appointed president was Dusko Peta-novski. Permanent employees of the gallery were: Done Panovski - clerk, Boris Andreevski director, from 1964-1980, Liljana Hristova, acting Director (1980-1982), Boris Nacovski (1982), Ljubinko Georgievski, Nikolina Grav-ceva and Vasko Georgievski.This completed the process of integration and transformation of those separate institutions into only one institution under the name of “Institute for the preservation of monuments and culture natural rarities, Museum and Gallery Bitola” or the short title “Institute, Museum and Gallery Bitola”.On 18. 02. 1934 at the initiative of Dr. Antun Zegura, a professor at the Bitola gymnasium, and Mr. Ivan Kanjuh, a meeting was held in the formal hall of the Bitola Municipality where it was decided that Bitola, whose surroundings are so rich in monuments of culture (some which can and others which can't be moved), should found a town museum. A great number of Public office employees and distinguished citizens from Bitola took part in this meeting. The meeting was declared open by Dr. Antun Zegura, who spoke about the great cultural importance of the founding of the museum in Bitola. After Dr. Zegura's speech, the second speaker was S. Sotirovic the President of the Municipality, who applauded the idea of the gentlemen Dr. Antun Zegura and Ivan Kanjuh and promised that the Municipality would take care of providing a building in which the museum would be located. After that, the lawyer and great admirer of antiquities, Budimir Borisavlevic took the floor, showing pictures to those present of the archeological findings, which he had collected in the vicinity of Bitola. At the suggestion of the Municipality president Mr. Sotirovic, the Council decided to establish an Initiative Committee consisting of: the Archbishop Nikolaj Velimirivic, Mr. Ilija Dimitrievic brigade general, Mr. Petar Lesnarevic - the retired former director of the gymnasium, Mr. Buda Borisavlevic lawyer, Mr. Antun Zegura, Prof. Ivan Kanjuh, Mr. Branislav Vasilevic District Chief, and Mr. Dragoljub Konstantinovic District Chief. The Council sets the tasks for the Committee to collect historic, ethnographic items as well as all kinds of weapons of the various armies (which had fought in battles in the Bitola area during the Balkan Wars and the First World War), and to make the decision for the founding of the town museum in Bitola, thus filling the vacuum that had long been felt in the cultural life of the town. This thus established Committee, at its second meeting of the Municipality of Bitola, held in the Court Building, at 5p.m. on 27.02.1934, under Article 7 of the Meeting Schedule "Foundation of the town museum" passed the Decision: (citing from the minutes book) "…to found the town museum of the Municipality of Bitola, and for this purpose a credit shall be granted from the unpredicted expenditures, an amount of 10 000 dinars, in words ten thousand dinars, which shall be used for the housing and equipping of the museum, for the investigation of the museum items, procurement of materials, and other. Thus the museum shall be Municipality property and it shall be named "The Museum of the town of Bitola". Since its foundation till the end of 1948 the museum was housed in two ground-floor shops on "Dobrivoje Rado-savlevic" street, (which is now destroyed), in which premises in five appropriate cabinets were exhibited coins of Antique, Roman and Byzantine periods accompanied by certain archaeological findings of ceramic, marble, bronze etc. The museum at that time was served by two employees, one of them a manager and the other a guard. During the occupation, the manager of the museum Petar Nikolic in 1941 emigrated to Greece, thus leaving the guard Gavril Pancev as the only employee in the museum.This state of affairs in the museum continued even after the liberation, up to the end of 1948. We know this from the letter No. 53, of 15. 01. 1945 sent to the National Museum of Skopje by the Town NLC from Bitola, in which letter they request the return of the Inventory Books from 1940, so as they can see whether all the museum items are accounted for or have been expropriated. In 1949 the Town Committee was granted a new building on the street of Marshal Tito No. 25, (the building of the Ottoman Bank, later Thessaloniki Bank, Geology Bureau) to which the museum was relocated. At the end of the same year Petar Mackic was appointed as the Director of the museum. In 1950 museum is granted its own budget which enables the museum to broaden its activities, so that besides the numismatic collection they found archa-eological, historic and ethnology colle-ctions, thus enriching its fund with 760 new museum items, and for the first time they make an appearance with two thematic exhibitions: "Socialistic con-struction", and an exhibition "The National Liberation War in the Bitola region" which are visited by more that 22 000 visitors. In 1951 the museum presents two exhibitions: "The mining wealth of Bitola" and "Bitola in the XIX century". 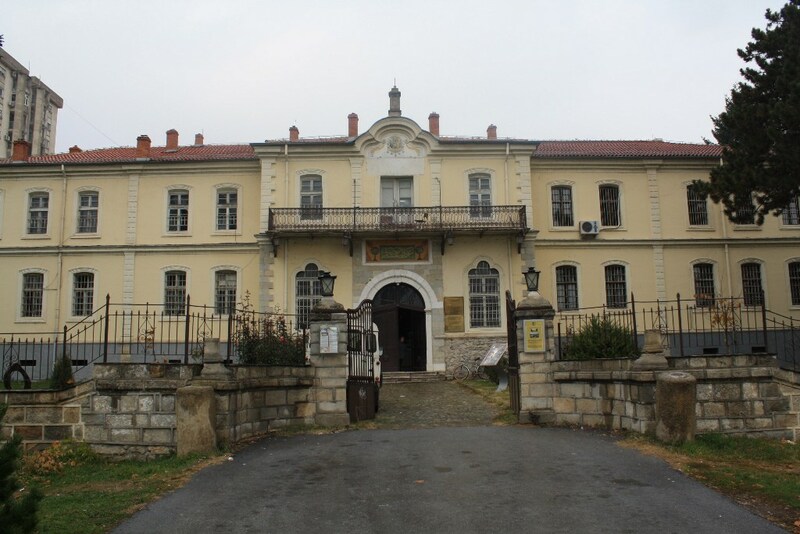 In 1952 by the decision of the Presidium of National Republic of Macedonia, the Bitola museum is renamed as - The National Museum of Bitola, and is known by this name till the 1976. In the same year, the museum is relocated to 'the House of Danabas', No. 91 Marshal Tito Street, and for a longer period, is served by 5-7 employees. The 50s of the last century are important for this museum because of its activities in the field of collecting and presenting and its growth into a complex museum. Among the important exhibitions of this time are: (1952) the numismatic, history and archaeology exhibition, (1952) the exhibition titled "Reproductions of Leonardo Da Vinci"; (1954) archaeological exhibition of excavation findings from Bitola's surroundings and the exhibition "Harmful customs and super-stitions" (borrowed from Belgrade). In this year the 'Week of Museums" is celebrated for the first time. In 1955 the exhibition" Ethnological materials" was organized, and "Reproductions of Van Gogh". In 1956 the ethnology exhibition was found and two new departments were formed: the Department of pre-history and the Department of NLW (National War of Liberation). 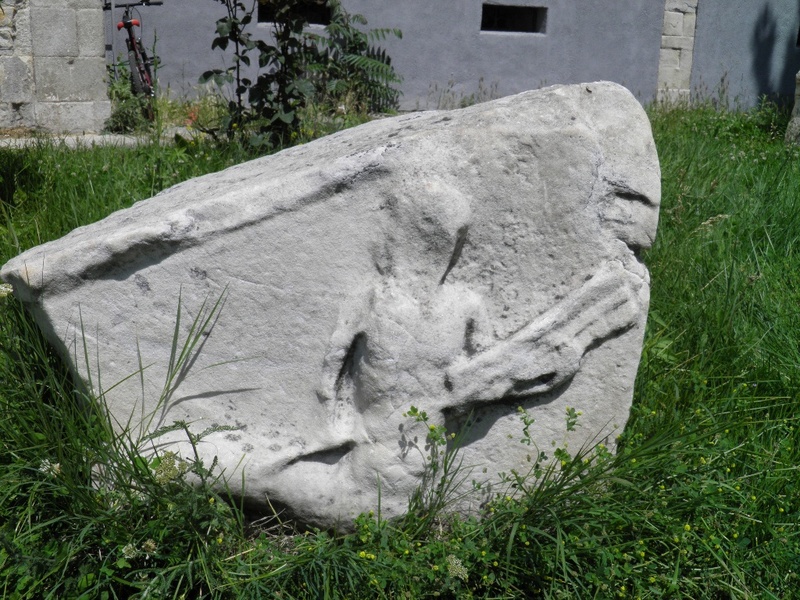 At the end of the same year, a marble slab of Jovan Vladislav was found among the ruins of Eskhy Mosque in Bitola. Till the end of the 50s of the last century more notable activities are the archaeological investigations, especially of the pre-historic site of Suplevec, and the organizational preparations for the systematic investigation of the archaeological site of Heraclea Lyncestis. For the museum, the 60s and 70s of last century marked a period of continuous development and enlargement of its departments, introducing Departments of Archaeology, History, Ethnology and History of Art, as well as establishing a photo-library with its own laboratory, and a rich and professional library, which represents a solid foundation for today'smuseum.During this period the National Museum, in cooperation with the Heraclea Board, was responsible for managing the excavation and conservation of this site. Following the decision of the Council of the National Committee for culture of Municipality - Bitola, The Heraclea Board was established on 26. 07. 1961. This Board, as a management committee, dealt with the issues and problems concerning the archaeological excavations of the site. In the following period the Board was changed every four years until 1986/7 when its functioning ceased.The first appointed President of the Board was Zivko Vasilevski, then also SRNM. Ivan Mikulcic, curator of the museum, was appointed secretary of the Board and Petar Mackic, who was manager of the museum at that time, later replaced him. 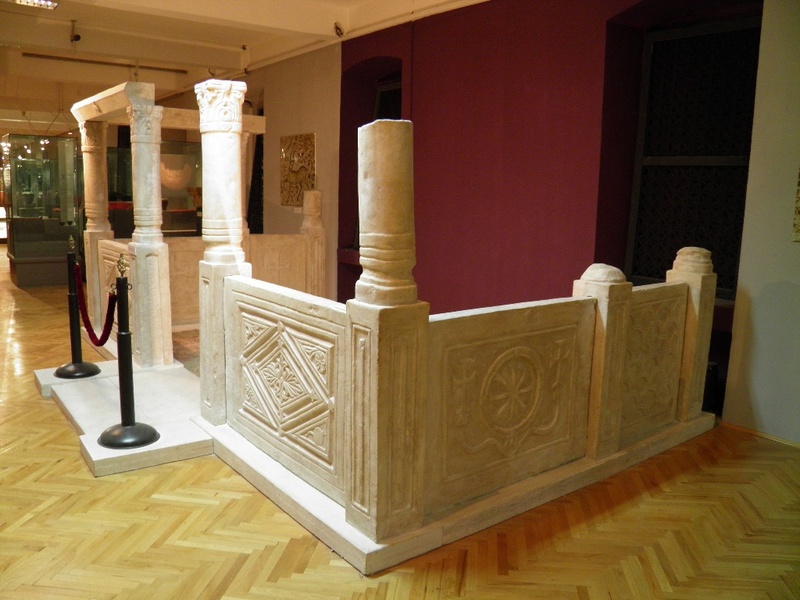 At that time, the National Museum - Bitola concentrated its efforts and activities on the preservation of the great fund of movable and stationary monuments of culture located in the Municipality of Bitola. 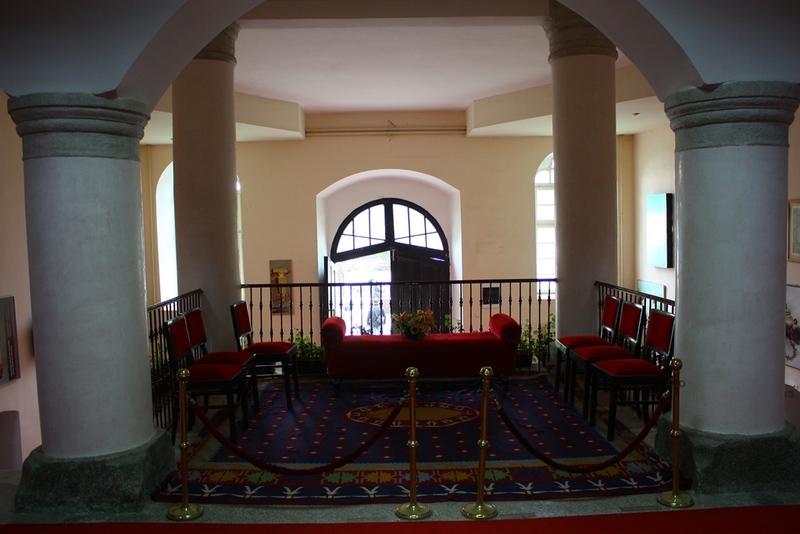 In this period, apart from activities connected with the numismatic and archaeology sections, they are involved with setting up a permanent museum exhibit dedicated to Stevan Stiv Naumov, a national hero, in the house of his birth, located at No.11 Peco Bozinovski Street on the 4th July 1961. The above mentioned museum collection grew larger year by year with hundreds more museum items and photographic documents. The number of visitors annually to the museum exhibits is estimated to be more than 30.000, a number which even today would be envied by many other museums. This certainly proves the fact that the National Museum Bitola plays a significant role in the cultural life of the town at that time. On 05. 05.1975 by the decision No. 06-2907/1 the Municipality of Bitola found the Institute for preservation of monuments of culture and natural rarities - Bitola. Also, by the decision of the employees of the Institute, National Museum and Heraclea Board, confirmed on referendum, National museum and the board of the archaeological site of Heraclea also is attached to the Institute for preservation of monuments of culture, confirmed on the agreement A.C. No. 06-5465/1 and 06-5459/1 from 04. 10. 1986. Thus formed institution was renamed in Institute for preservation of the monuments of culture, natural rarities and museum Bitola. By the agreement No. 08-312/1 from 10. 05. 1983, the acceptance was given for the affilation of the Art Gallery of “Mosa Pijade” to the Institute and Museum Bitola. The Art Gallery of Bitola was founded on 15. 04. 1958, following the decision of the Council of the municipality of Bitola. The building in which the gallery is accommodated (Jeni Mosque) was built in 1558/9 during the time of Mahmud Efendy, as a one-room sub-dome construction with covered porch, and blind cupolas which were built later during the correction of the building in 19th c. Due to the extensive decoration of the entire interior, the building is in itself considered to be a work of art. Especially notable are: the Fayan blocks around the main portal, the magnificent fresco decoration painted with a rare motif landscapes in Rococo style, the decorative plastic art in the form of stalactites (on the trompie-shells under the dome), the deep woodcarving of the main gate, the wooden doors of the niches, and the calligraphic inscription above the gate. The gallery was under the mana-gement of the Administrative Board, and the first appointed president was Dusko Peta-novski. 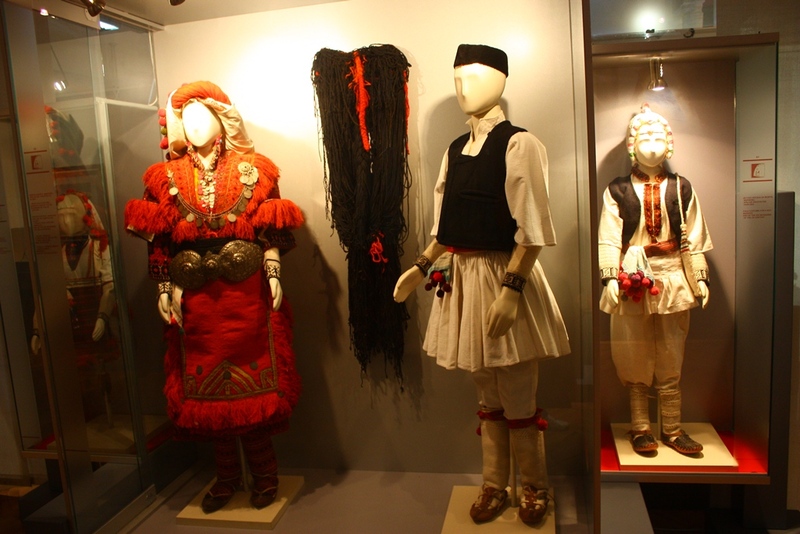 This completed the process of integration and transformation of those separate institutions into only one institution under the name of “Institute for the preservation of monuments and culture natural rarities, Museum and Gallery Bitola” or the short title “Institute, Museum and Gallery Bitola”. If you are considering to go by bus u have a dozen of bus lines between Skopje and Bitola. Time travel is 3 hours. 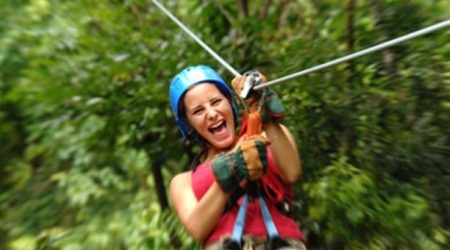 Price for one way ticket is 480 denars / 7.8 EUR and for two ways ticket is 630 denars / 10.2 EUR. Time of departure from Skopje: 04:15, 06:00, 09:00, 11:00, 12:30, 13:30, 14:30, 15:00, 15:30, 16:30, 17:00, 19:00, 21:00. Note: If you are considering traveling on weekend and holidays please contact the bus station for any changes of the lines. If you like to travel to Bitola by train the time travel is between 3 and 4 hours. Price for one way ticket is 315 denars / 5.2 EUR and price for two ways ticket is 502 denars / 8.2 EUR. Time of departure from Skopje: 06:48, 14:30, 17:10, 19:35. If you are not comfortable to travel by train or bus, you can always get a taxi. The price in one way is more or less 4920 denars / 80EUR. If you'd like to explore the land during your travel to Bitola you can go by car. Distance between Skopje and Bitola is 169 km.